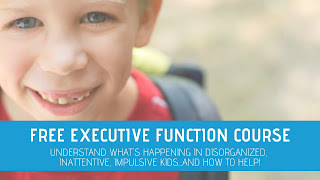 During the Christmas season, kids can become overwhelmed with all of the sights, sounds, and disruptions in schedules that Christmas brings. Use the Christmas Play ideas below to promote therapy goal areas and to develop and build skills needed for function and fun! 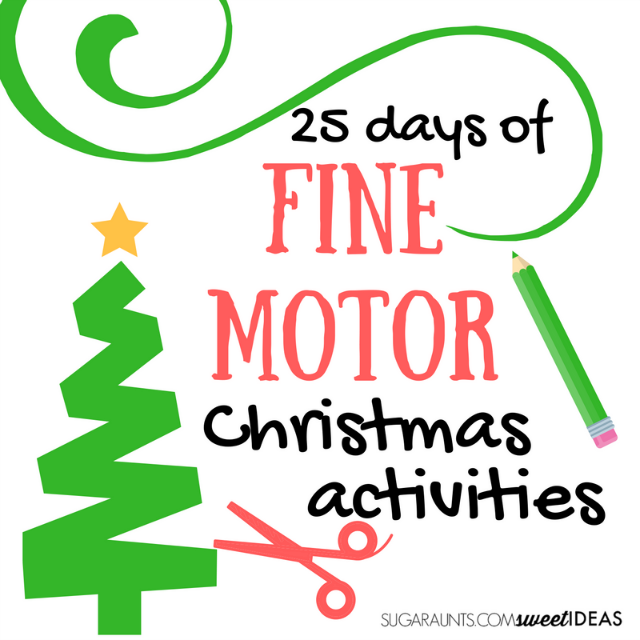 These Christmas themed ideas are ones that promote underlying skills such as sensory experiences, fine motor development, visual attention and visual spatial skills, bilateral coordination, and so much more. These are some of our oldest posts here on the blog. 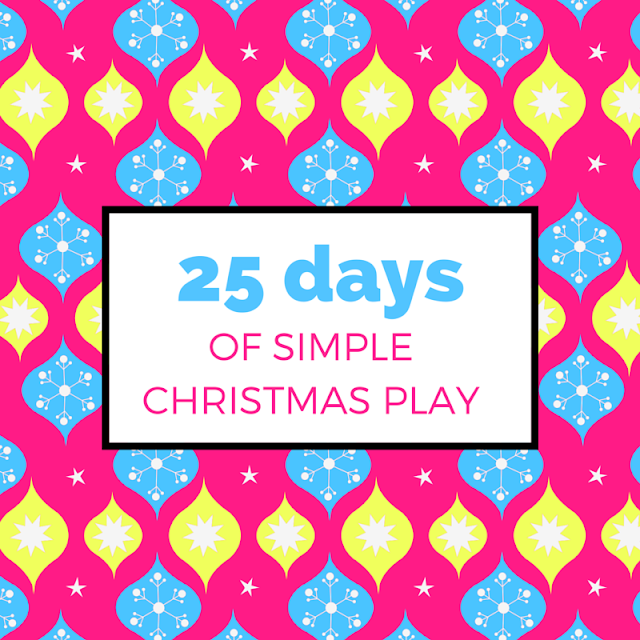 Early on in the life of this blog, we shared 25 days of Christmas play ideas and decided to put them together in one place. 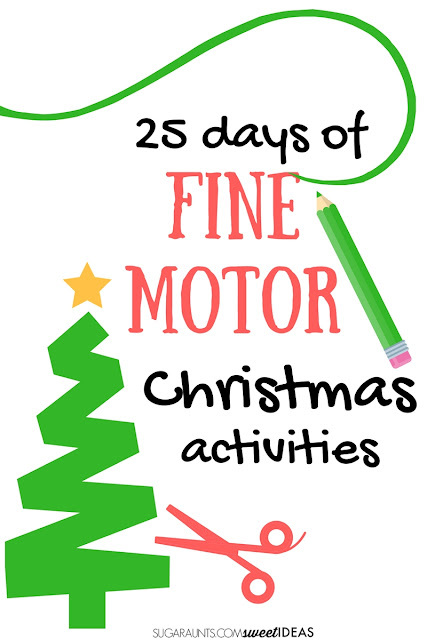 There is a noticeable fine motor component, so with fine motor development activities being one of the favorite themes on this site, why not use these Christmas activities in a fine motor themed Advent calendar or just for fun and creative ways to play and have fun this season? Slow down this year and enjoy this Season of Christmas with your kids. Join us in fun Christmas themed play ideas focusing on everything from sensory integration to gross motor planning. All with one theme...the magic of Christmas! These ideas would be perfect to fill an Advent calendar. The activities below will fill your days with simple play and time for connection. Set up the crafts, activities, and play ideas and get in there and play with your kids. OR...and we all know that this time of year is hectic and rushed...set up the activity for the day and get something done! Wrap a gift, send off a note to an Aunt, or just sit and sit your coffee while you watch your child play. Enjoy the moment of watching peace and joy of childhood during this busy season. 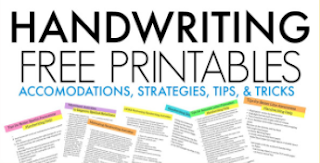 Want this list in a printable version? 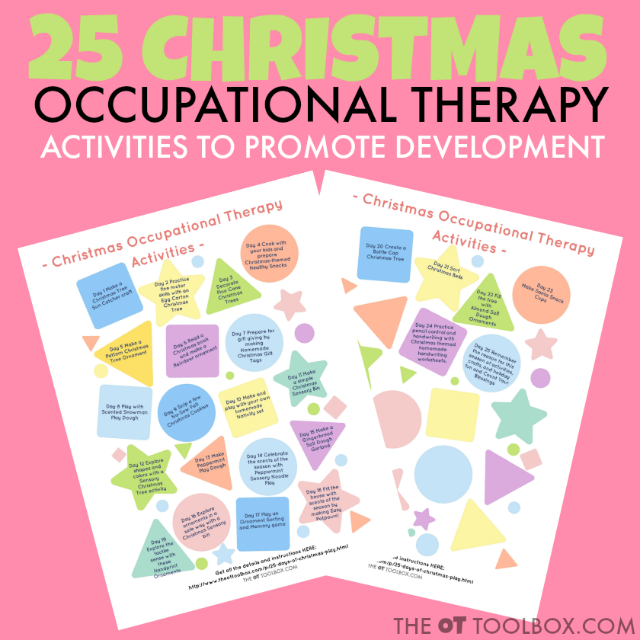 Use it to encourage development of Occupational Therapy goal areas throughout the whole month of December. 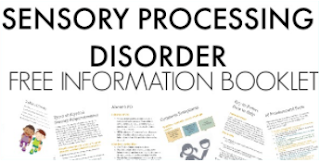 Get the printable sheets HERE. Day 1 Make a Christmas Tree Sun Catcher craft. Practice scissor skills and neat pincer grasp. Day 2 Practice fine motor skills with an Egg Carton Christmas Tree. Day 3 Decorate Pine Cone Christmas Trees. Pincer grasp and bilateral hand coordination are fun with this Christmas activity. Day 4 Cook with your kids and prepare Christmas-themed Healthy Snacks. Cooking with kids is a fine motor skills powerhouse! Day 5 Practice math by making a Pattern Christmas Tree Ornament. Threading the beads on this ornament opens the thumb web space and encourages a tripod grasp. Day 6 Read a Christmas book and make a Reindeer ornament. This ornament provides opportunities for fine motor pincer grasp and precision of grip. Day 7 Prepare for gift giving by making Homemade Christmas Gift Tags. Encourage kids to boost their fine motor skills in a craft they can give to others. Day 8 Play with Scented Snowman Play Dough with this strengthening activity. Day 9 Snip a few No-Sew Felt Christmas Cookies and play the day away. Day 10 Make and play with your own homemade Nativity set while getting down on the floor to boost shoulder girdle stability that can promote improved fine motor skill development. Day 11 Make a simple Christmas Sensory Bin to explore textures with grasp and manipulation. Day 12 Explore shapes and colors with a Sensory Christmas Tree activity while kids work on an inclined surface. Day 13 Make Peppermint Play Dough and encourage strengthening of pinch grip. 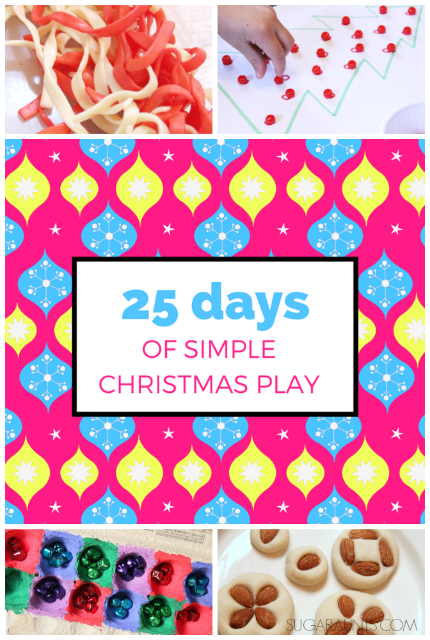 Day 14 Celebrate the scents of the season with Peppermint Sensory Noodle Play while allowing kids to scoop, pour, pinch, and even cut the noodles. Day 15 Make a Gingerbread Salt Dough Garland for the Christmas Tree while allowing for bilateral hand coordination. Day 17 Play an Ornament Sorting and Memory game with scissor skills. 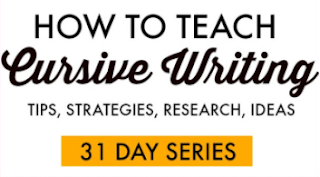 Day 18 Fill the house with scents of the season by making Easy Potpourri. Pulling and cutting the ingredients from your own backyard is a memory-making experience! Day 19 Remember the small size of your kids hands with these Handprint Ornaments. They make a great keepsake gift, too! Day 20 Create a Bottle Cap Christmas Tree and work on building shapes and fine motor strength. Day 21 Sort Christmas Bells and work on colors and fine motor skills like in-hand manipulation. Day 22 Fill the tree with Almond Salt Dough Ornaments. Manipulating salt dough is a great way to strengthen pinch and grip strength. Day 23 Make Santa Snack Cups for a Christmas-y snack time while encouraging scissor use. Day 24 Practice pencil control and handwriting with Christmas themed homemade handwriting worksheets. Day 25 Remember the reason for this season of activities, crafts, and holiday fun and Count Your Blessings. Count on the fingers of your hand to promote finger isolation and separation of the two sides of the hand! 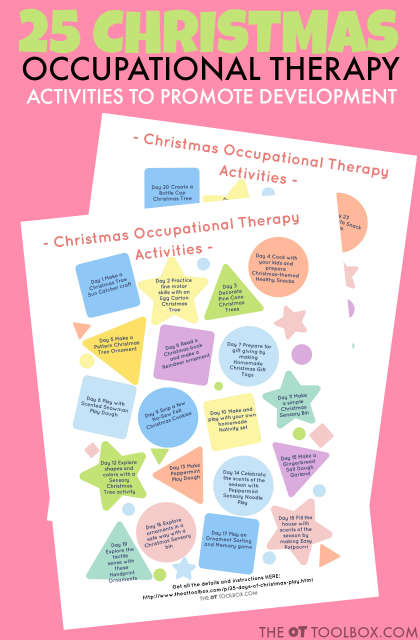 CLICK HERE to grab the two page printable version of these Occupational Therapy Activity sheets. These printable sheets can be cut out and used as a Christmas count-down while encouraging development of skills needed for function and independence in kids. Find more Christmas themed activities on our Christmas Pinterest board. Like these ideas? Share it on Facebook!